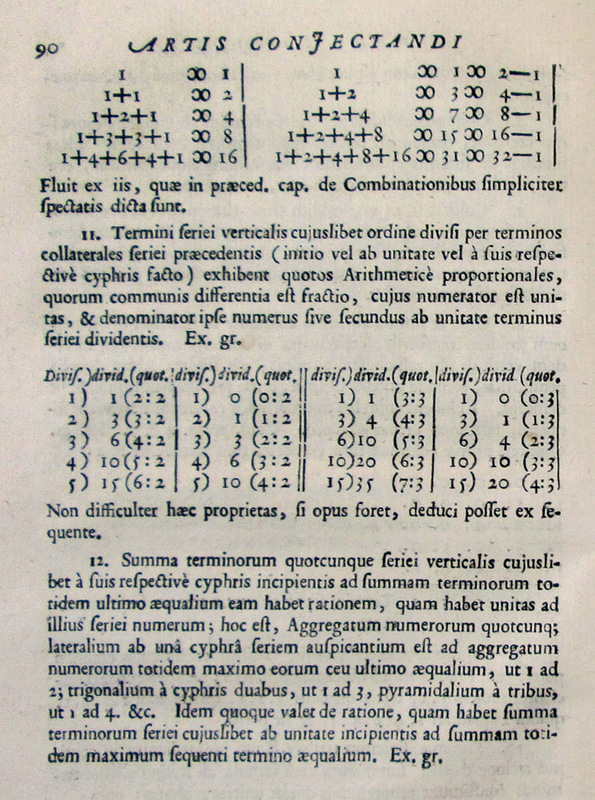 What is referred to today as "Pascal's triangle" was already known when Blaise Pascal's "Traité du triangle arithmétique" (Treatise on the Arithmetical Triangle) was posthumously published in 1665. Pascal had collected contemporary knowledge about the triangle and applied it to the calculus of probabilities. Jacob Bernoulli (1655–1705) contributed to actuarial science with the 'law of large numbers' which he derived in his work "Ars Conjectandi" (published in Basel in 1713).